The exhibition at Wimbledon Fine Art Gallery is my first solo exhibtion in my native U.K. It is a collection of new and recent works on paper and canvas. The show’s title ‘SOFT LANDING’ follows on from my previous show, ‘NEVER COMING DOWN’. 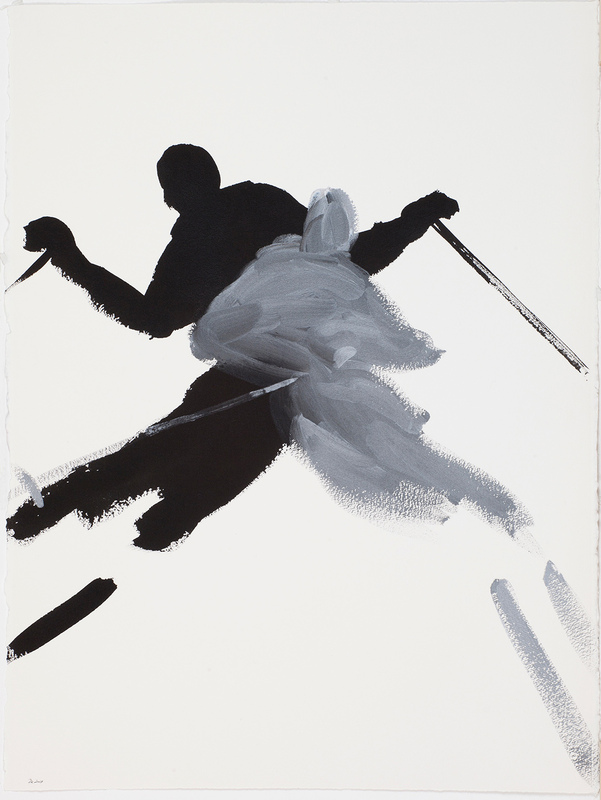 The narrative remains firmly at high altitude, using the airborne skier figure as a motif and vehicle to describe the elegant pursuit of challenging gravity. I seek to portray complicity and sensuality in paintings such as ‘The Tango’ and ‘Checkmate’. The musical references and framework that often underpin my work become more evident in paintings such as ‘Scirocco’ and ‘Music and Light’. 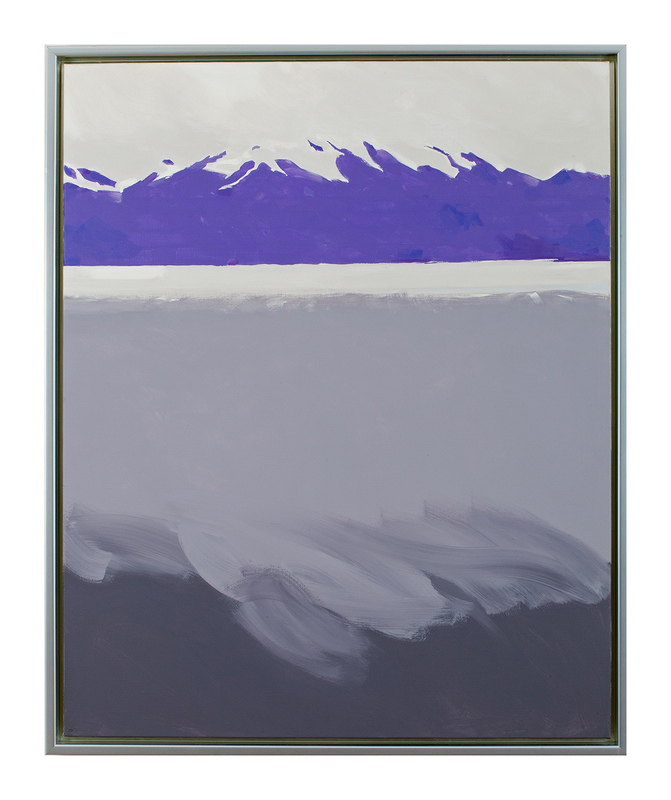 ‘Soft Landing’ however, is purely a landscape work which expresses another type of reaction to force, when just before descending into bottomless thick cloud, high above, we glimpse beguiling snow fields in a flattened, pearly light. This combination can be wonderfully exhilarating but equally dangerous and disorientating. 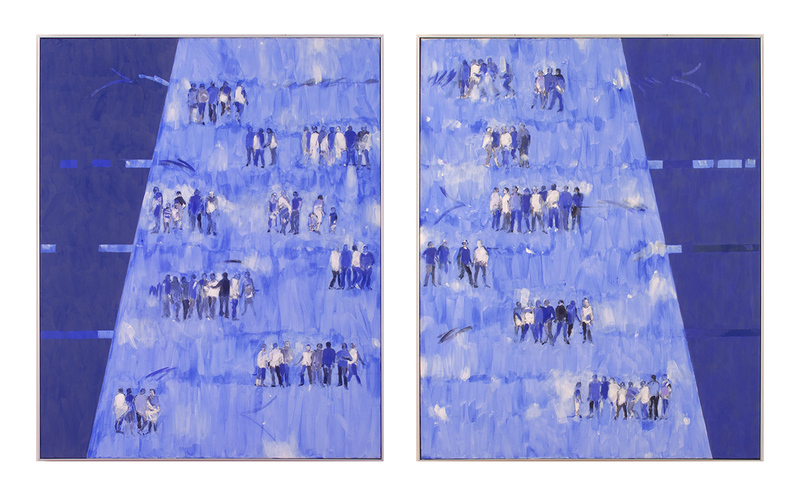 Included in the show are two works which illustrate my continued fascination and commentary on groups of people; ‘Blue Genes Right Handed’ and ‘Blue Genes Left Handed’. They too are set in a particular and unconfined space.